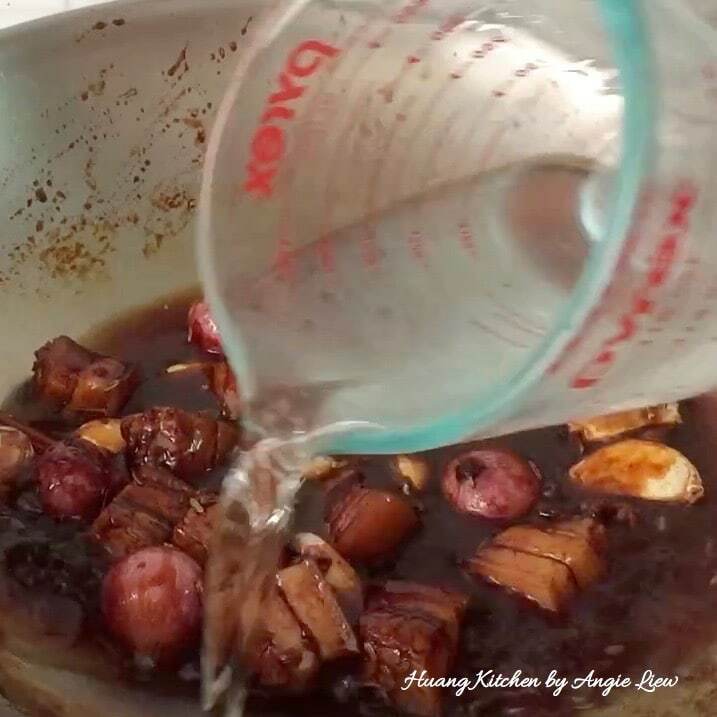 This is my family’s recipe for braised meat in soy sauce or literally called Lou Bak 滷肉 or Tau Yew Bak 豆油肉. It is one of the many dishes that my late mum had prepared which we have missed so much until today. The meat was always tender and juicy. 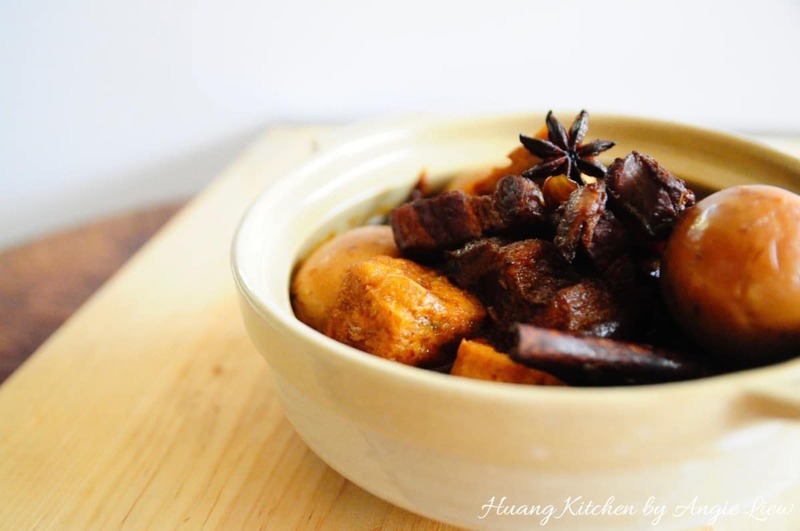 The taste for this braised meat is simply addictive as it is filled with an intensely flavourful sauce that was only possible with a good quality soy sauce, which to my mum, is a MUST have for this delectable dish. Also, hard-boiled eggs and tofu were always added for a more complete meal. 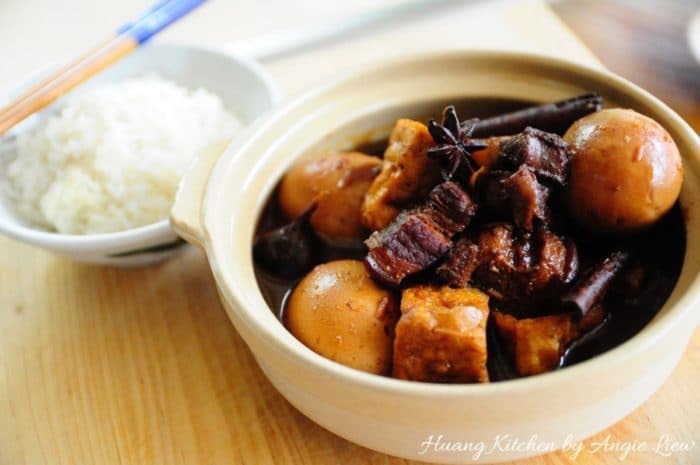 Braised with a variety of aromatic spices, this fragrant soy gravy in this classic dish is known as Lou 滷. 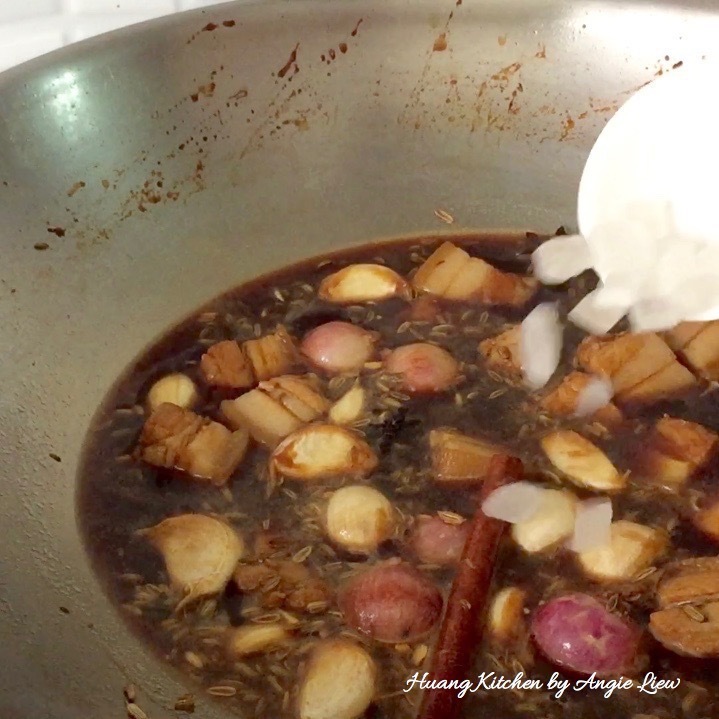 This gravy is just so unbelievably good with a warm bowl of steamed rice. 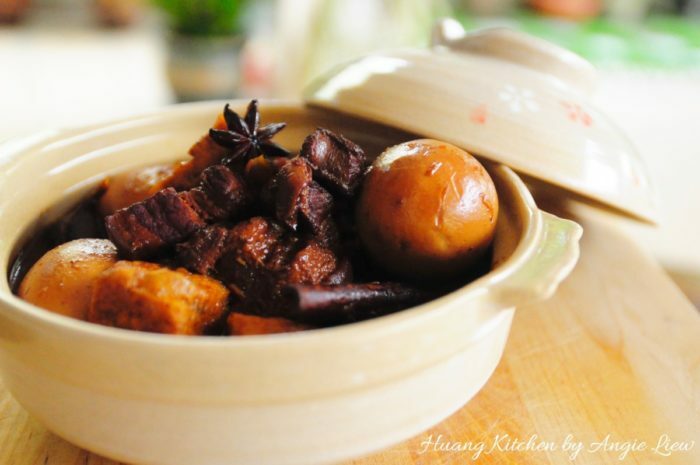 In many teochew families, this braised meat dish is usually served with plain rice porridge (commonly known as Teochew Porridge). 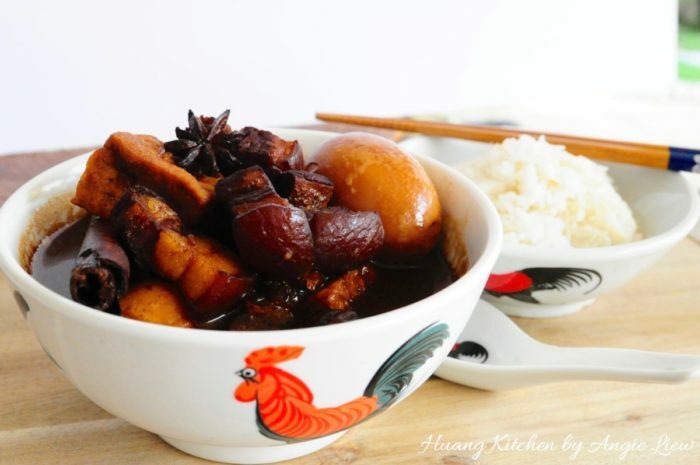 Another great way to enjoy this dish is to eat it with steamed buns or mantou. You’ll simply never get enough of this aromatic soy gravy. What’s more, this classic and versatile dish is also quite easy to prepare too. 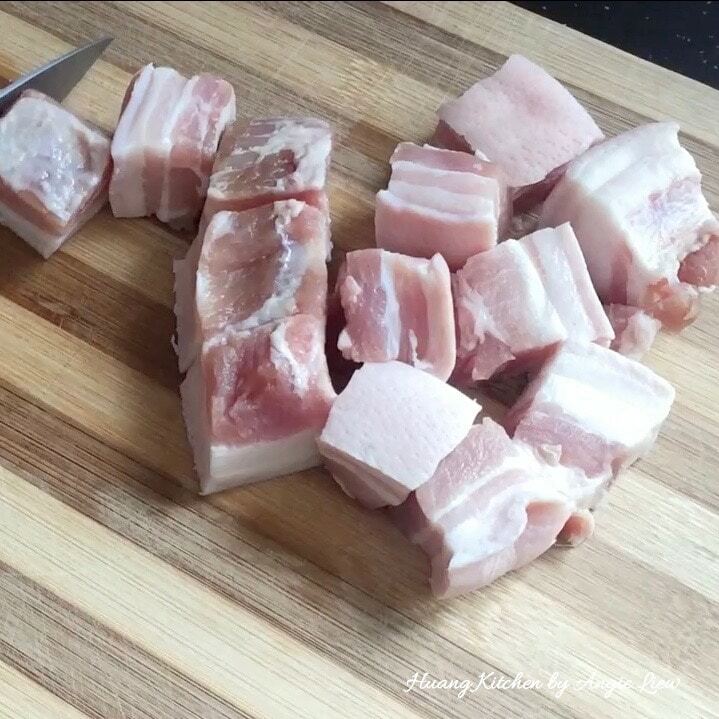 For those who don’t consume pork, you may replace the meat in this recipe with chicken thigh and drumsticks. 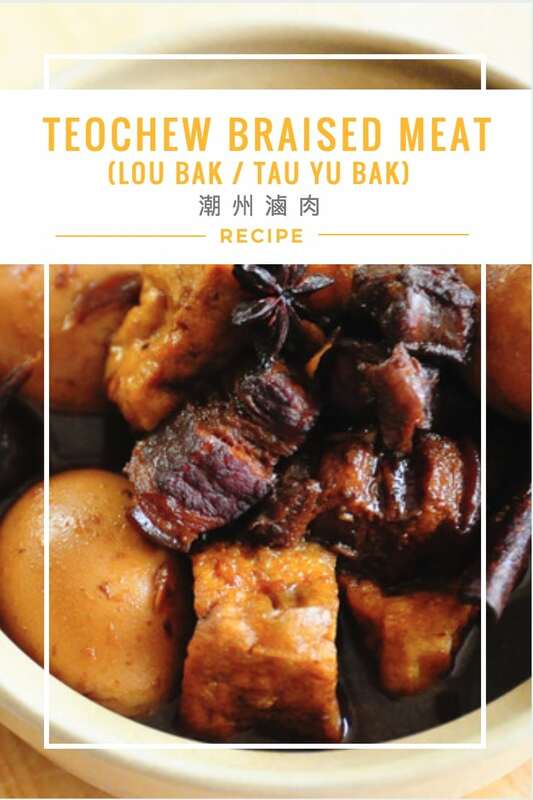 Known as Lou Bak or Tau Yew Bak, Teochew Braised Meat is best known for its fragrant soy sauce gravy, infused with a variety of spices. A truly classic dish that brings back the good old times. 1kgpork bellywith skin, cut into large pieces. First, wash, cut and drain well the meat. Cut into 3/4 inch thick pieces and set aside. 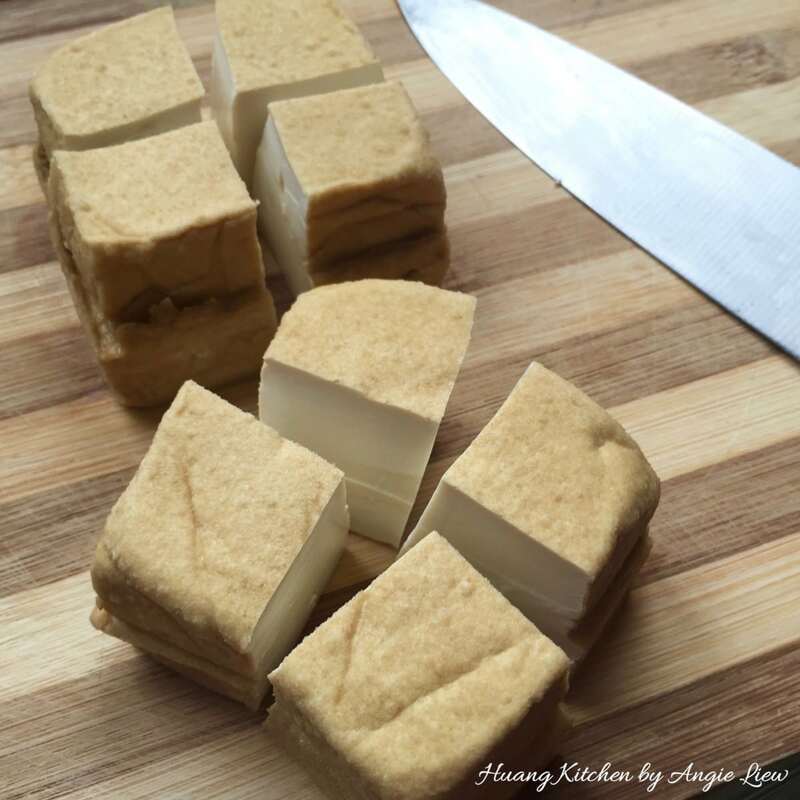 Cut each fried beancurd into 4 pieces. 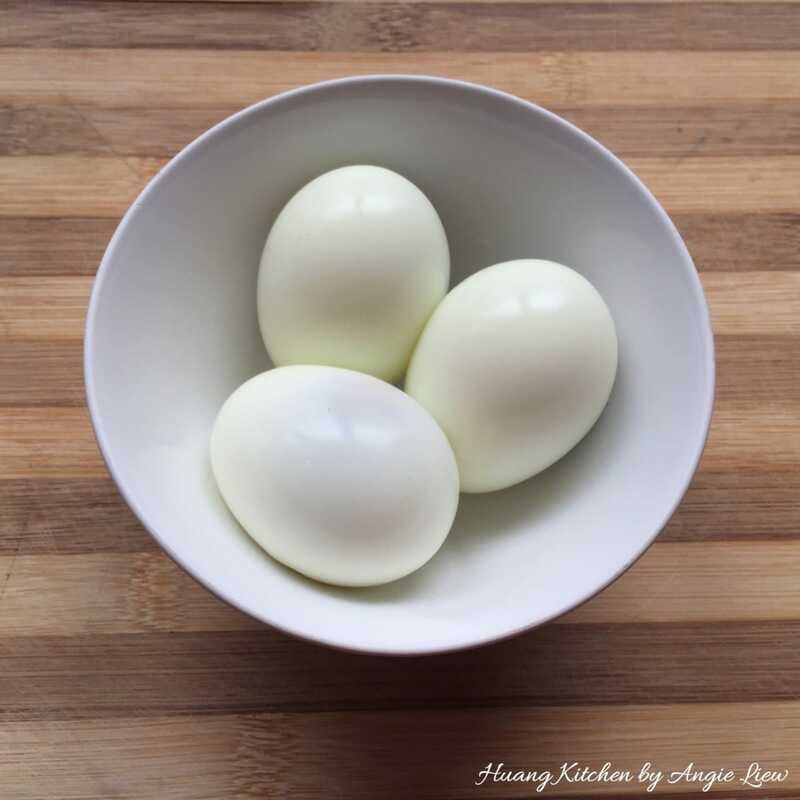 In a pot of boiling water, hard-boil the eggs and remove the shells. And we're ready to cook the meat! 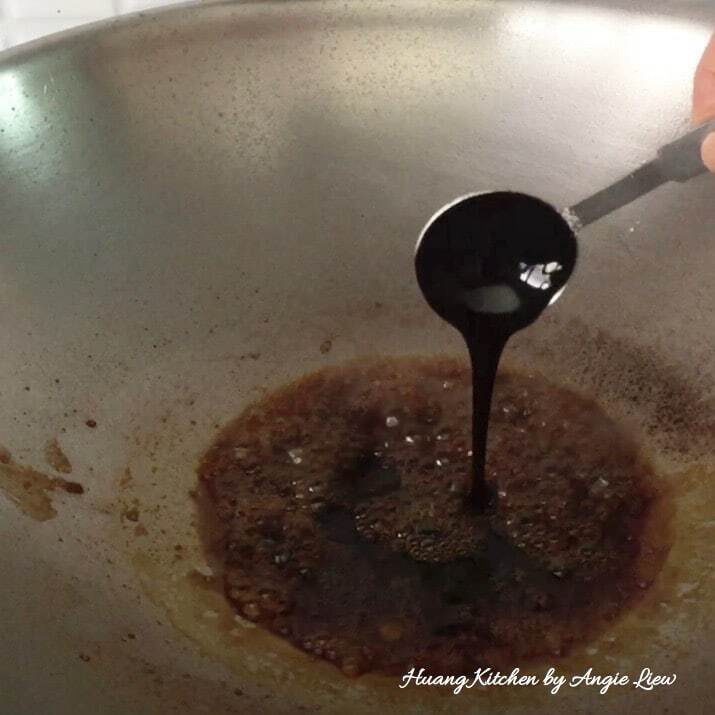 Over low heat, add oil and sugar to the wok. Melt the sugar slightly. 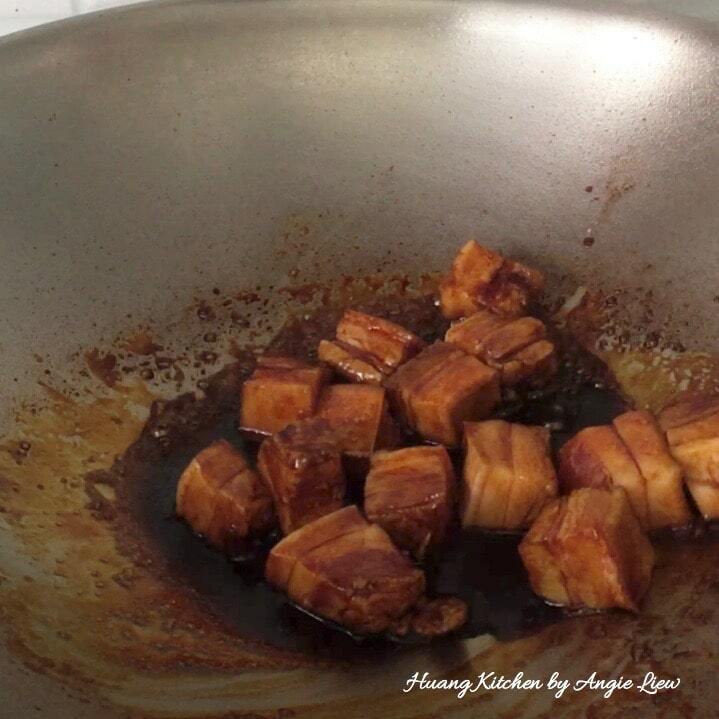 Then add in light soy sauce and dark soy sauce. Next, add in the cut meat. On medium heat, cook until lightly browned. 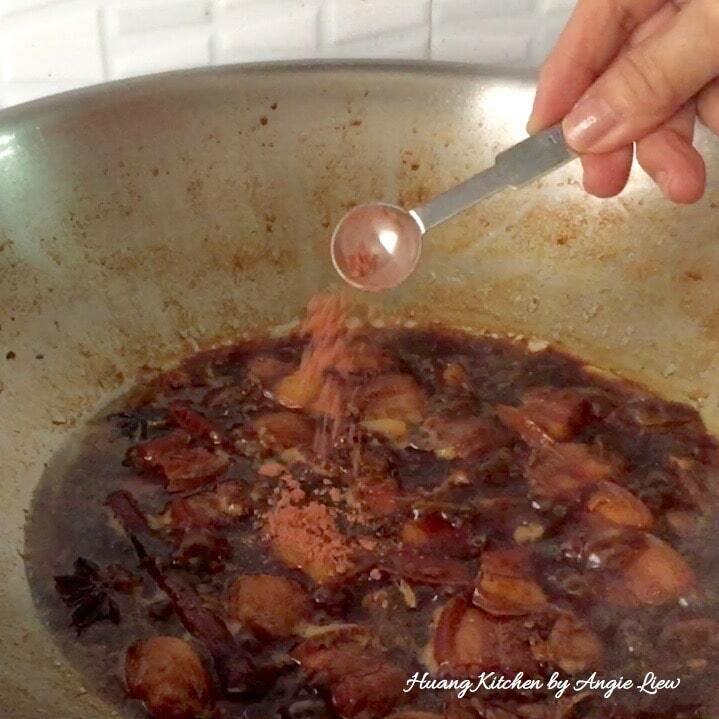 Browning adds additional flavour to the stew. Then add in the garlic, shallots and mixed spices. Stir to combine well. 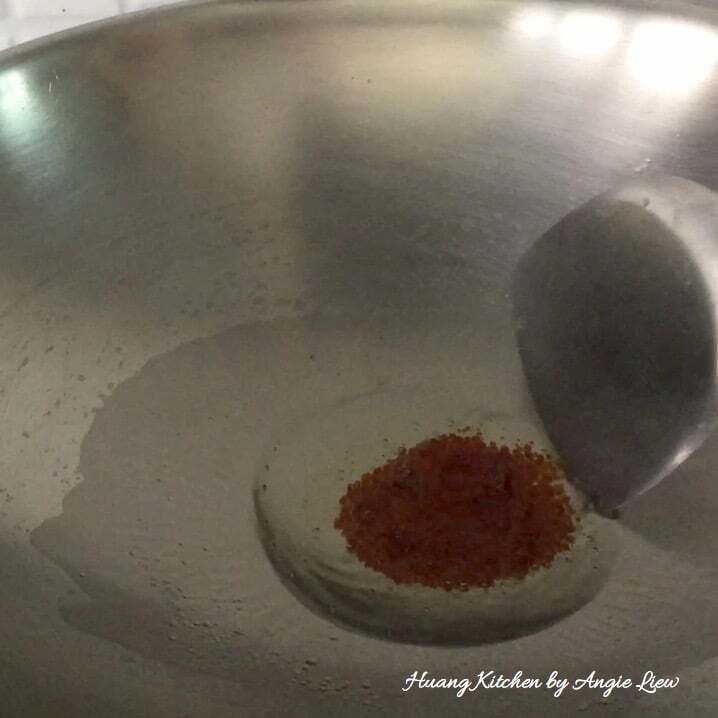 Cover the ingredients with water. Add rock sugar and bring to a boil over high heat. 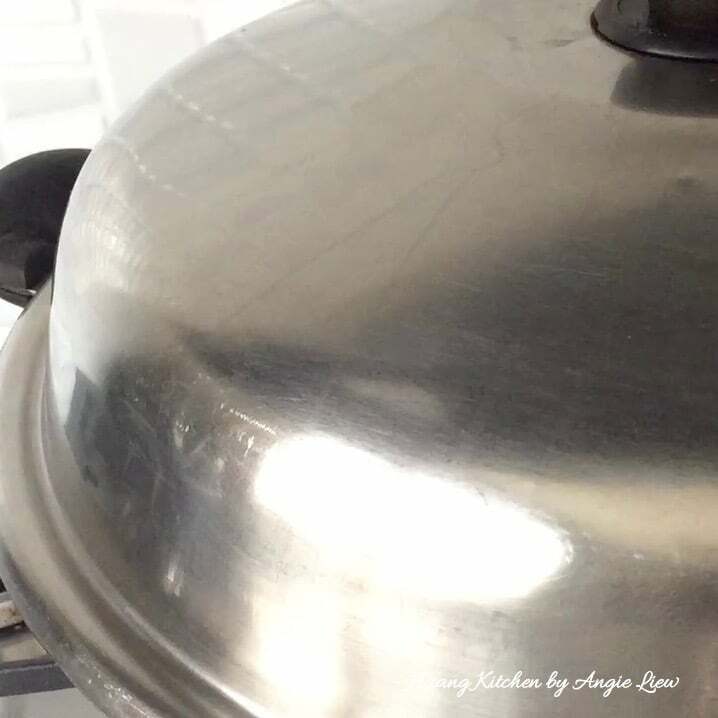 Reduce to low heat and simmer with lid on for 20 minutes, or until the meat is tender. 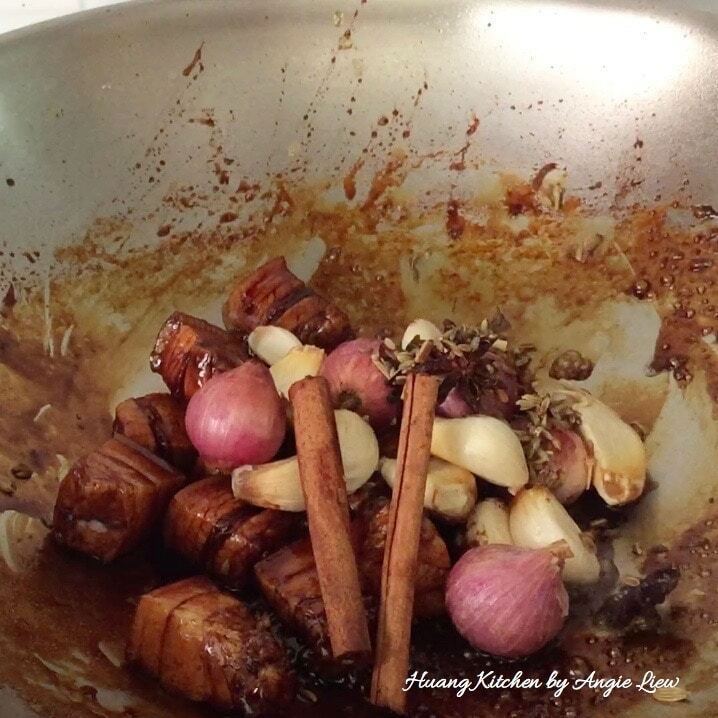 Add in chinese five spice powder. 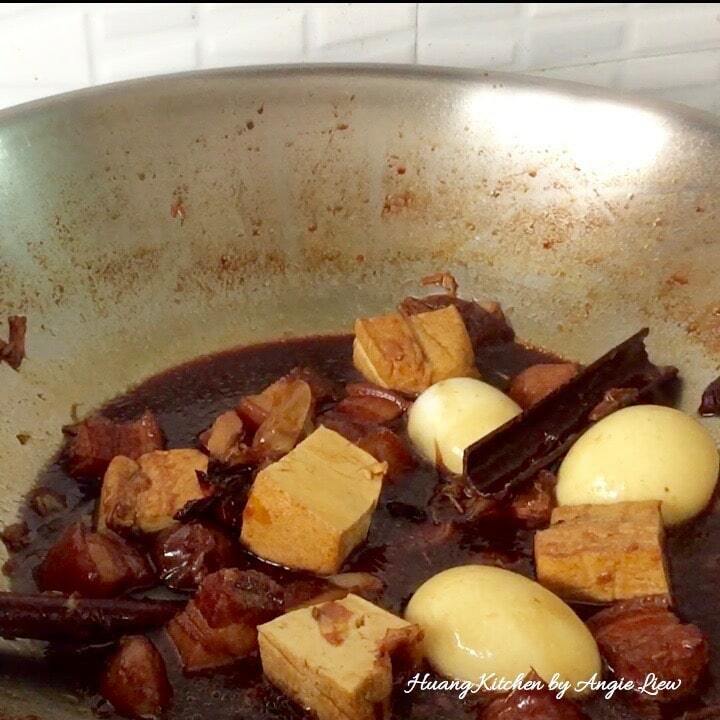 Then add the fried beancurd and hard-boiled eggs. Allow to simmer with lid on for another 10 minutes. And we're done! 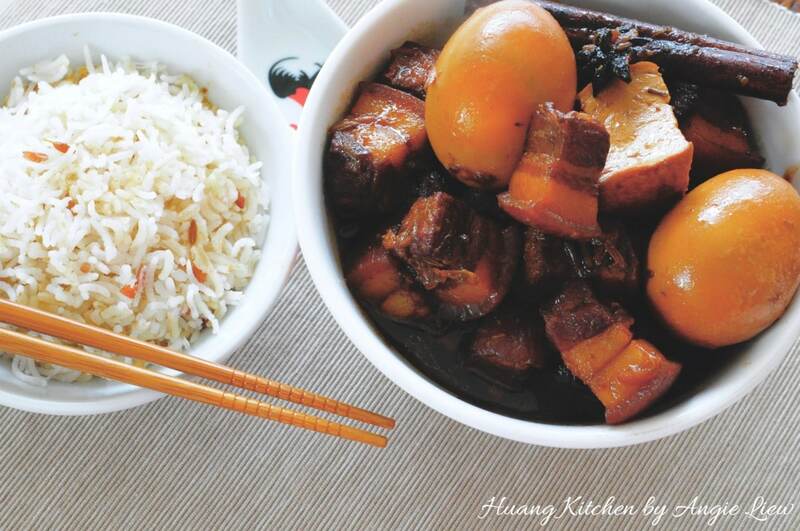 Goes extremely well when served with steamed rice. As always, ENJOY!